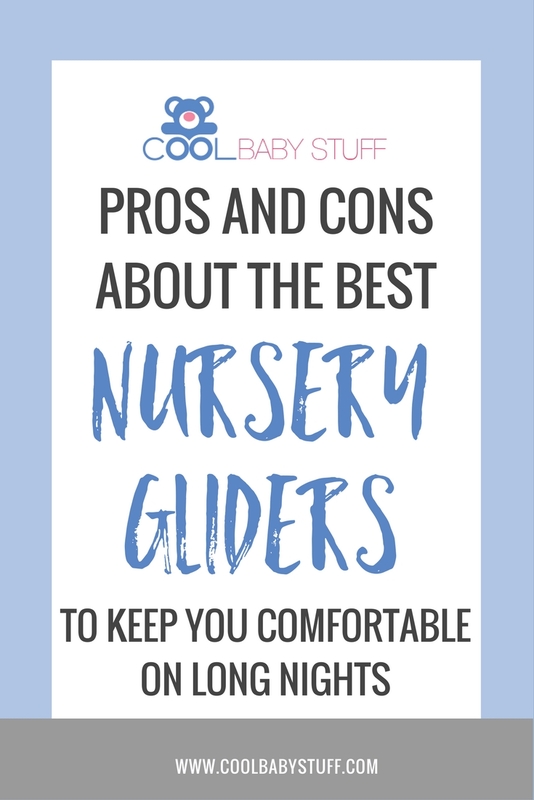 It’s important to have one of the best nursery gliders as it will be used plenty as you rock and hold your baby. Having ease and comfort in your glider is valuable and can help you relish and enjoy those sweet moments more — and maybe make up some for the tough moments in the wee hours of the night! Gliding helps transition the baby from activity to sleep in a peaceful motion. It’s a place where reading books and lots of snuggles can take place. Durability is also something to also consider when purchasing to ensure proper safety for both parent and the baby. 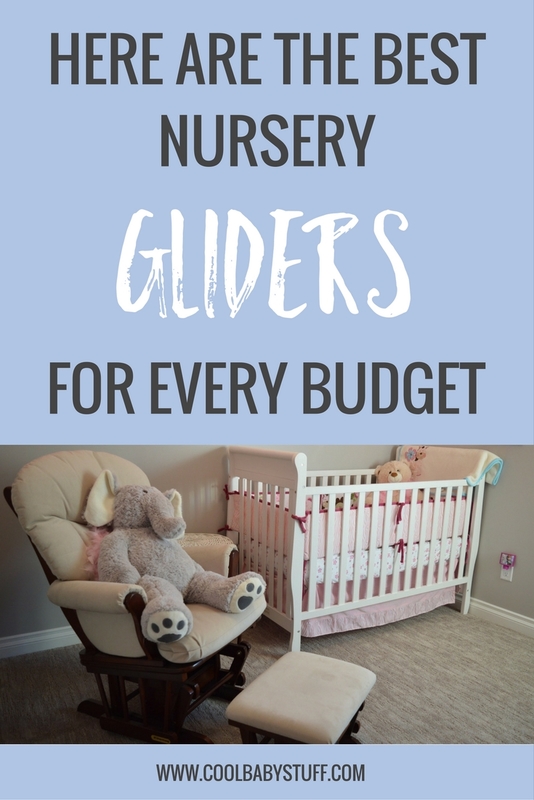 Below are 5 of the best nursery gliders to choose from. If you’re waiting for baby to make it’s entrance into the world, here are 7 tasks you need to accomplish before the baby comes. This glider is extremely comfortable, quiet, and durable. It does feature a lock position, and mulit-position recline options. The cushions are thick and padded, and it also has side pocket features and those will come in handy for sure! The fabric is easy to clean and the solid wood frame makes it very durable. This glider is one of the best in terms of style, comfortability, and its features. This not only glides, but also reclines, and swivels! It does only come in one color which is a neutral taupe but can suit almost any nursery with its style. The fabric is made of polyester, which can be an easier fabric to clean as it won’t soak in spills as easily. This is a comfortable glider, with micro fiber (breathable fabric) and offers plenty of room for sitting down. This is a great for a taller individual as it can comfortably accommodate someone who is 6’2” and maximum of 200 pounds. It also features side pockets, and is very durable. This glider is perfectly suitable for a smaller nursery as it is a more compact glider. The back of the chair can be a little more straight which might deter some buyers, but overall it has a good level of comfort. It is also a very stylish glider and can easily blend well with any nursery colors and décor. This glider offers many exceptional features and is very comfortable. It features a lock position (excluding the ottoman), as well as 5 other positions! This allows you to find your perfect comfortable position. The cushions can also be removed for cleaning and are made of micro-fiber. It features side pockets, smooth gliding and is made for longevity. Finding the right glider for your budget, comfort, and style is sure to be an important purchase and decision. After all, you will be spending a lot of time with your baby rocking, feeding, or just holding them in the glider…. Here’s to finding the best nursery gliders — kick back, relax and glide away!